Create capacitive sensors that can detect touch or proximity. 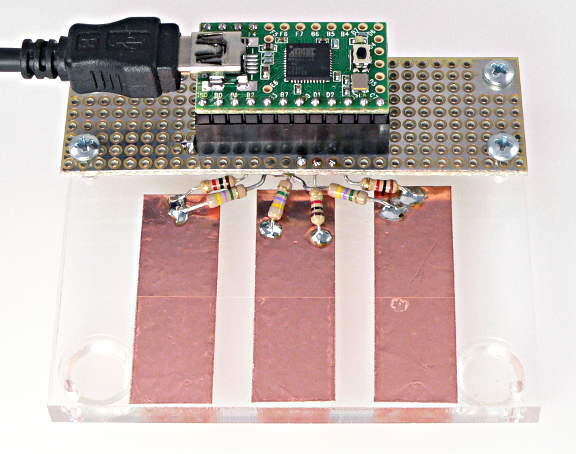 CapacitiveSensor lets you create sensors that can detect touch or proximity. CapacitiveSensor was originally written by Paul Badger and is now maintained by Paul Stoffregen.